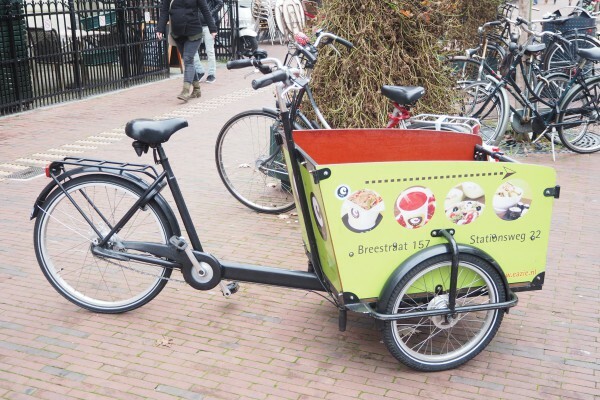 How pervasive is the bike culture in Leiden, a quaint but dense city 40 km southwest of Amsterdam? I say extremely pervasive. Bikes are being used to prop up advertising. I might add it is a smart way to incorporate marketing without being intrusive. In the States, we have advertising on billboards, ads on the sides of cars and transits, and everywhere else that has space. We get so many ads from watching television and when we go out on the streets, we are bombarded with even more ads. It gets very commercial, obtrusive and makes the surrounding unattractive. But using bikes for ads, I think it’s a nice touch. It’s small but it can get your eyes drawn to it due the the simplicity and beauty of a two wheeler. But make sure no other personal bikes are around the ad bike because other bikes can take the attention away. 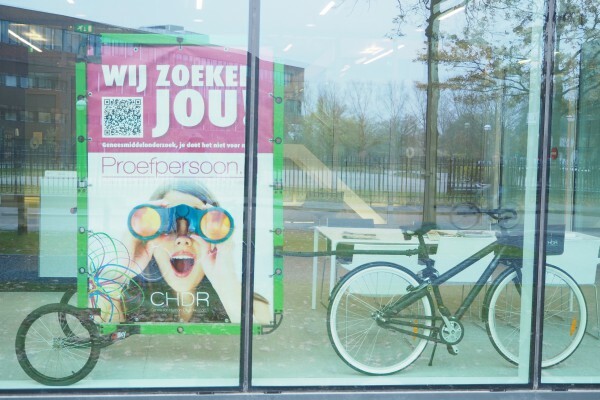 Here are some ads I see riding around Leiden and I am sure this concept is in other parts of the Netherlands, too. A creative pop-up store for all kinds of arts and products. 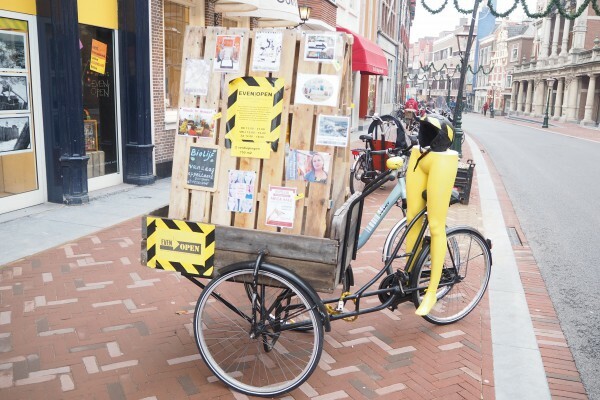 Pretty creative ad bike! 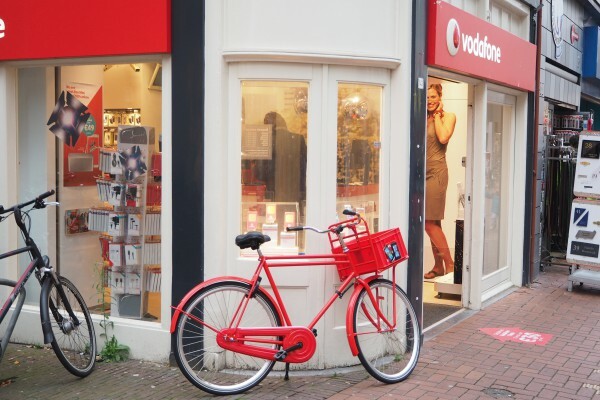 A nice contrast between the bike and its phone carrier store, Vodafone. 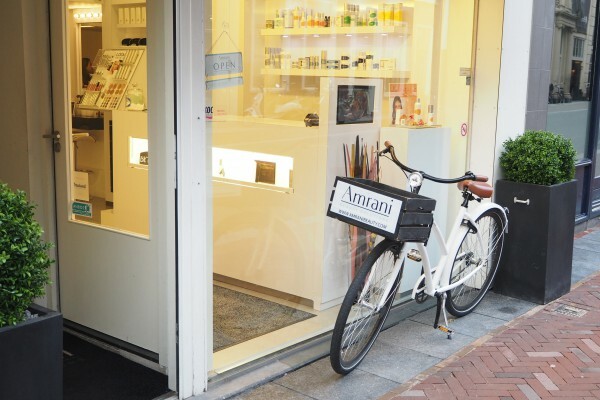 Amrani beauty shop with its representative white step thru bike. If a bike can’t get enough attention, attach a billboard to a trailer. Thank goodness this ad is inside a building. Hey San Francisco, meet Mini Velo. I crashed SF train tracks! Brompton Urban Challenge coming to Oakland!